When you hear Star Wars, A force awakens you right ! And when you hear HP Star Wars Special Edition notebook you wake up,get up and start running. HP an amazing company which manufactures a lot of stuff have came up with a special edition of Star Wars. And every one knows about Star Wars. Its not just only theme, wallpaper, cool graphics around the notebook but there are some pretty cool software inside it to. And those people who are gonna buy this will be the happiest people around and surely will be flaunting this notebook to everyone. I would have done it surely. I would have called up my friends and would have invited them home just to flaunt my new notebook. It like the cool part of being a techie. With this notebook I would have never sat down at home I would have open up my notebook outdoors only so that many people would see it and come and interact with me and discuss more about star wars and about the dark side. I might even get a date :) Fingers Crossed. So this is the social part of this notebook .The major thing which I like about this notebook is the 6th generation Intel Core i5 processor. As there are many softwares out there my this old computer cannot handle it with an old processor. This is the major benefit I will get I would even install some cool gaming stuff and play around the whole day. Create more Video tutorial with amazing video editing software Believe me using old video editing softwares is a hectic job. I would have even created some amazing videos with dj Snake Sound wars(inspire by Star wars) music running in the background. It like learning something great the tune would go playing in your mind continuously. Video tutorial would be so cool with star wars music many people will love it I am sure about it. There has been time when I have reviewed about a smartphone apps Here I am talking about one of the most gigantic telecommunication company majorly operating in India it is "AIRTEL" and its new featured app called as airtel app. Software are been made to make life easier and mobile apps are mini software who make things fast, easier and within some touch things get solved. And airtel app is one of those app who helps in getting things get solved quickly and easily! Celebrating the 60th birthday of Steve Jobs! The pioneer of personal computers and giving the world amazing things such as ipod, ipad itunes and iphone. 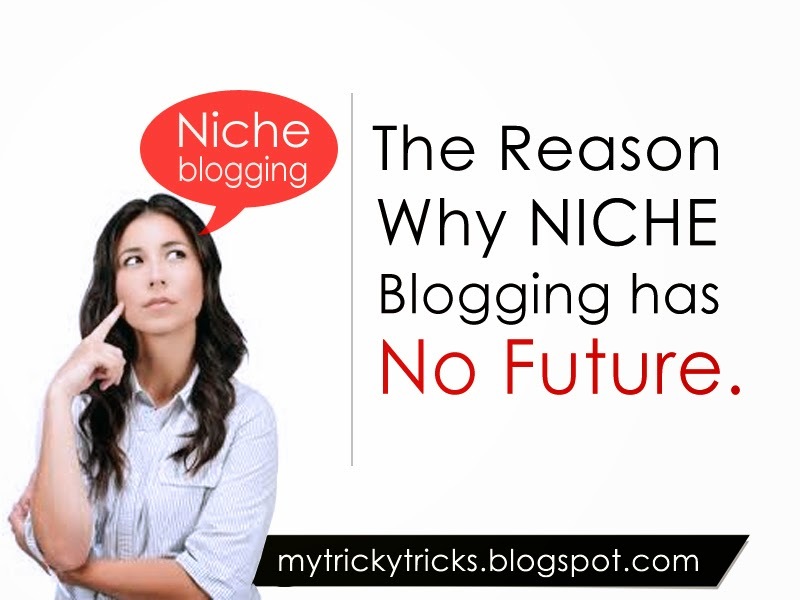 What is Niche Blogging ? Niche is a small part of a small part. I can explain with a simple example - there is a Cake you cut it in 4 parts and you get 1/4th of it and more people come in, further the 1/4 is divided into more smaller part. Just imagine you will get such a small amount of cake and obviously that piece of cake is not enough for you. Windows 10 is just around the corner to be released in the First month of the New year. It likely to be released at the end of January 2015. The company claims that it will be the best of operating system and have tried their best to fill up the limitation of its last version Windows 8. There are a lot of new features and one them is CORTANA. Cortana is a software which understand our commands and work accordingly. Like our voice commands to be precise. It understand what we speak and even give response. This is the technology everyone would love to use. Here we have a video of the initial stage of Cortana where the developer is testing the software and a short glimpse of its working .Truly amazing and would like to use it. Road safety is an important concern in today's busy life. I see people talking on phone and their little ones on the other hand and crossing the road where there's no zebra crossing. This surely is not safe. I see people teaching their kids to look Right and left before crossing but when they cross on roads they even don't wait for the signal to go RED. 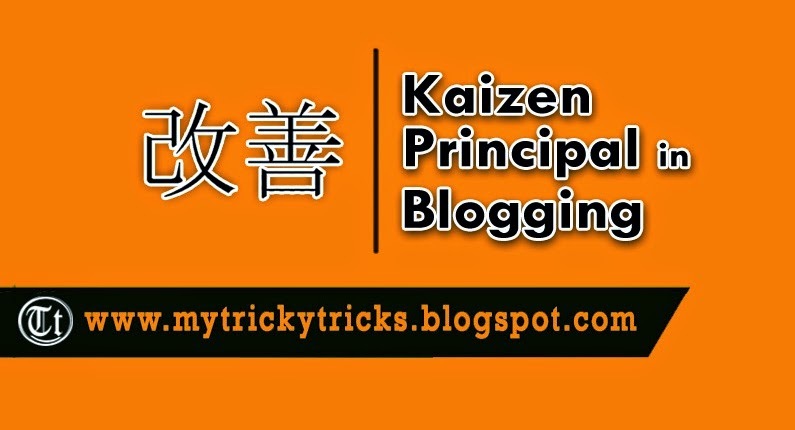 I think no one has ever mentioned the Kaizen Principle in Blogging till now. And I think its very important that every blogger must understand and should apply this principle. Kaizen is a Japanese Word which means "Good change". But it is more consider as Good Improvements. It is a principal which promotes the importance of quality and continuous improvement in business and organisations. When I heard & read about it, it amazed me and it gave me an idea that principal can be applied in blogging as many things in blogging are same as in business. Subscribe via Email - Its Free. Copyright © 2011 - 14.Trickytricks. Simple theme. Powered by Blogger. Trying to make things Simple and Perfect | No animals were harmed in making of this blog !